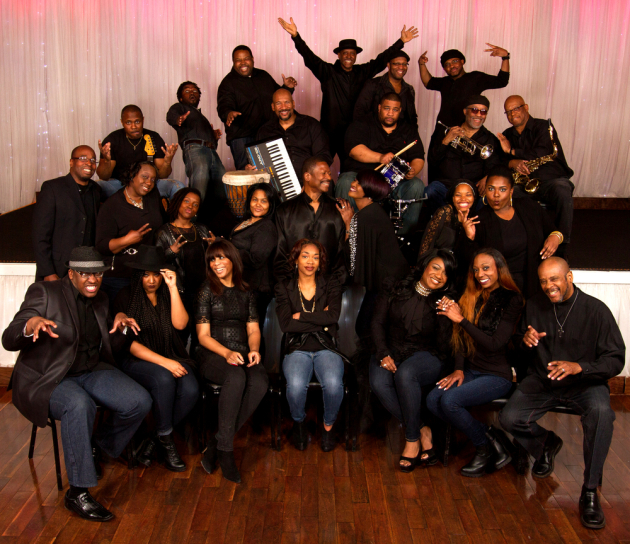 Jimmy Jam and Terry Lewis are back with a new single featuring, fittingly, Sounds of Blackness, the Twin Cities gospel group that was the first act the two super-producers signed to their Perspective Records back in 1991. The album, due this summer, will feature new original material produced and written by Jam and Lewis, the hitmaking team behind 41 Top 10 Billboard pop songs and 26 No. 1 R&B singles. They have not finalized the list of artists on the album but, according to Jam, it could include Janet Jackson, Mary J. Blige, Babyface, Mariah Carey, Toni Braxton, Charlie Wilson, Boyz II Men and others. The new single features the Sounds choir and lead vocalists Ann Nesby, Big Jim Wright and Lauren Evans. Wright died in September at age 52 in his hometown of Rockford, Ill. Click here to listen. Jam and Lewis,, who have won five Grammys, were inducted in the Songwriters Hall of Fame in 2017. They got their start as songwriter-producers in the early 1980s when they were members of the Time, producing the S.O.S. Band. After leaving Morris Day and their pals behind, Jam and Lewis formed Flyte Tyme Productions in Minneapolis and went on to produce Janet Jackson, Human League, Herb Alpert, Usher, George Michael, Mariah Carey, Boyz II Men and others as well as such Twin Cities acts as Alexander O’Neal, Mint Condition and Sounds of Blackness. Having produced 16 No. 1 pop singles, they rank third all-time, behind Beatles producer George Martin (with 23) and Swedish producer Max Martin (22), who has worked with Taylor Swift, Britney Spears, Katy Perry and others. Jam and Lewis moved to Los Angeles in 2003. Last year, they had a high-profile presence in Minneapolis when they curated the 10-day Super Bowl Live concert series on the Nicollet Mall.